When the +3e was first released back in 2000, using a hard disk with a Spectrum was a relatively new idea. There were no ready-built hard disk interfaces, but two schematics were available on the web, both designs by Pera Putnik. One of these was a very simple and easy-to-construct 8-bit interface, whilst the other was a more complex full 16-bit design. The +3e used the simple 8-bit interface (with some slight addressing modifications). This is the interface which is described below. Several years on, and there are now a wide variety of hard disk and compactflash interfaces available for the Spectrum. Some can be bought ready-built, as kits or unpopulated PCBs, or as schematics for the enthusiast to build their own. The +3e supports all known available interfaces - if you find any that aren't supported, please contact me. The +3e now even supports interfaces using the MMC protocol, which means really tiny interfaces can be made, accepting MMC or SD cards (typically used in digital cameras, PDAs and mobile phones etc). Following are are some links for the supported interfaces. Note that some of these interfaces can run other software/firmware as well as the +3e ROMs; you can generally use both the +3e ROMs and the "native" firmware, since the +3e does not interfere with any special interface facilities (such as extra RAM and ROM). The classic interface for the +3e! Build it yourself, as described below. Some people have built this as an internal interface that plugs into the Z80 CPU socket, with the Z80 itself "piggy-backed" on top. Steve Smith produced some PCB designs for both internal and external versions, which are archived here. José Leandro has produced some PCBs for a compactflash-based version. 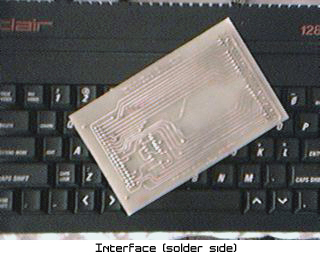 A full 16-bit hard disk interface designed and produced by Sami Vehmaa. Some versions also have a compactflash slot. This interface also contains 128K or 512K of battery-backed RAM, and can also run the ResiDOS operating system (which can use the same disks/compactflash cards and files as the +3e). Another interface from Sami Vehmaa, for compactflash cards. This interface can be mounted internally or externally. It has 128K, 512K or 1024K of battery-backed RAM, and (like the ZXATASP) can also run the ResiDOS operating system (which can use the same disks/compactflash cards and files as the +3e). A popular interface with demo coders, the divIDE is a full 16-bit interface and can be used with hard disks and compactflash (with an adapter). It contains some RAM and ROM, which can be loaded with a variety of firmware - most notably FATware, which can load snapshots from standard FAT-formatted disks. You can share a disk between the +3e and FATware, although currently there is no easy way to move files between the two systems. Hopefully, some software for the +3e will become available shortly to remedy this situation. The first SD/MMC interface for the Spectrum, from Alessandro Poppi. 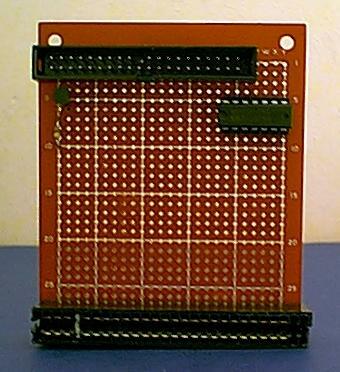 This fits internally, plugging into the Z80 socket and supports two card slots. 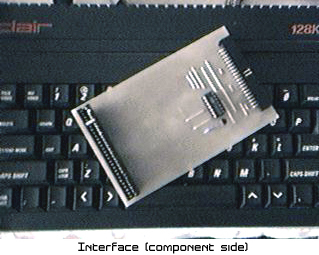 Jarek Adamski's 8255-based full 16-bit interface. (NB: the +3e ROMs for this interface have not been tested; please let me know your experiences). Another interface from Jarek Adamski, this is identical to the YAMOD.IDE8255 but also includes 32K RAM and 64K or 128K EPROM. It can run the ZXVGS operating system, which can use the same disks as the +3e, since it has adopted the IDEDOS partitioning scheme. (NB: the +3e ROMs for this interface have not been tested; please let me know your experiences). The interface that started it all! This is the interface that the +3e originally used, with the exception of a few addressing differences. A more complex full 16-bit interface from Pera Putnik. (NB: the +3e ROMs for this interface have not been tested; please let me know your experiences). An exciting new interface from Pera Putnik. It's almost as easy to construct as the simple 8-bit interface, but allows the full capacity of attached compactflash cards to be used. Because of the simplicity of this interface, there are very few components or connections required, so most people with access to a soldering iron should be able to construct it without too many problems. Thanks to Frans van Egmond for details of the internal interface provided here (although neither he nor I accept any responsibility for any damage caused by the interfaces presented here). PLEASE NOTE: I cannot build interfaces for other people! Thanks must go here to Pera Putnik, who designed the original "simple" IDE interface; the interface presented here is almost identical, with just a couple of changes to the addressing, which should allow the interface to be compatible with more other hardware. Additionally, you will need a small board to mount the circuit on. If you wish to build the popular internal interface, instead of the Spectrum edge connector you will require a 40-pin socket for the Z80 chip (with long legs if you can find one). In this case, the Z80 is removed from its socket and plugged into the interface card socket; the whole thing is then plugged into the Z80 socket in the +3. A schematic for the interface is shown below. Unlike most schematics, I have included all the connections you need to make, so you do not need to know much about electronics to build the interface; you just need to be able to use a soldering iron. Colour-coding is used where confusion might otherwise arise. Pin numbers for both the Spectrum and IDC connectors are listed. Additionally, connections for the Z80 socket are given if you wish to build an internal interface, rather than an external one. For the Spectrum connector, these correspond to the diagram at the back of the +3 manual. For the IDC connector, pins are numbered 1,3,5...39 along one side of the connector, and 2,4,6...40 along the other, with pins 1 & 2 being adjacent. For the Z80 socket, if you look at the chip with the notch at the top, pins are numbered 1-20 down the left side, and 21-40 back up the right side to the top. Steve Smith has spent some time producing some PCB layouts for both the internal and external 8-bit interfaces. The external interface he has built from this looks very smart! If you're able to produce your own PCBs, Steve has kindly provided full details of this and layout files in several formats, together with some nice pictures of the interface and his final setup. Grab the entire archive (layouts, instructions and piccies) in this file: Plus3eHD_Int.zip. In the meantime, here are some pics of the final product to whet your appetite!